This thank you uses the Freshly Made Sketch#206 here. 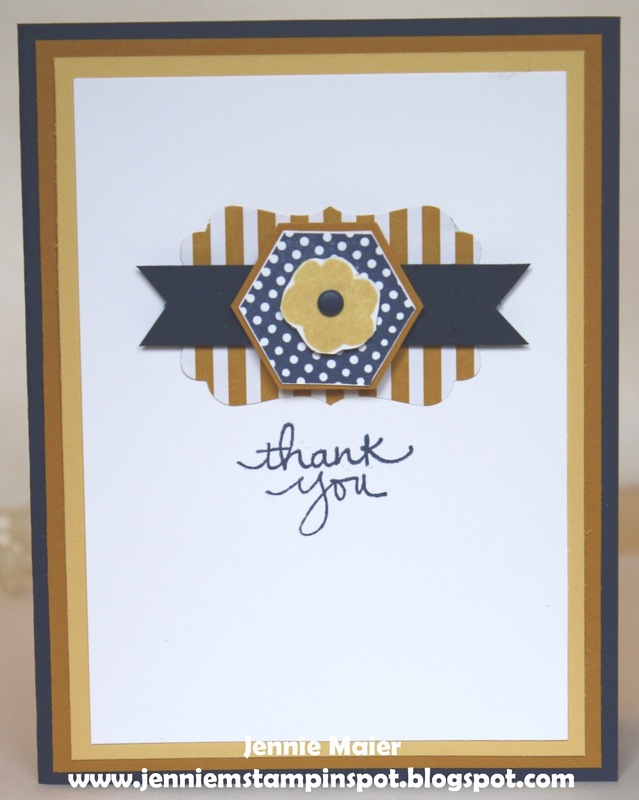 Endless Thanks is the stamp set with some Brights Color Collection DSP Stack. 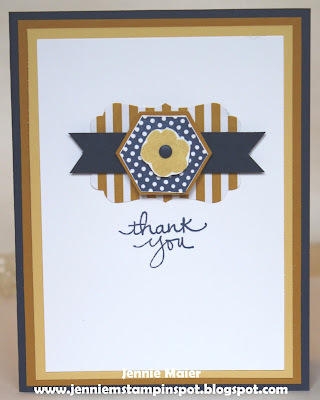 Since I had the Lots of Joy stamp set out, I used it again for this card. Also used the MojoMonday Sketch#417 here. And some Merry Moments DSP too. 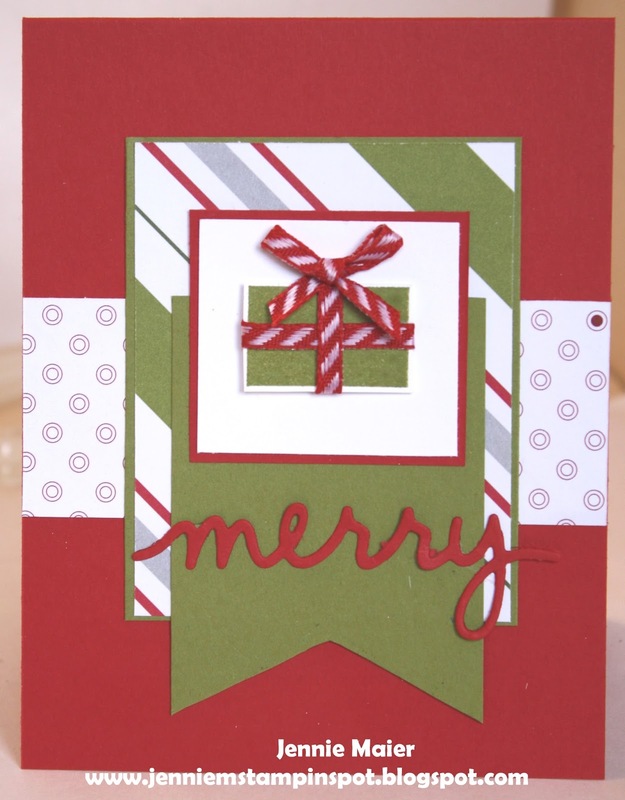 This card came together quickly thanks to the Sweet Sunday Sketch Challenge#288 here. 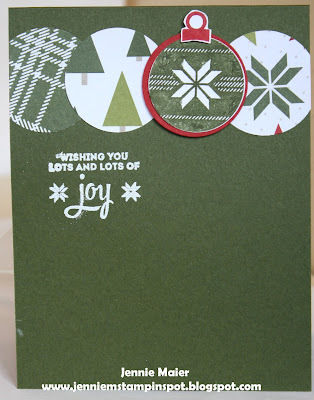 Lots of Joy is the stamp set with some Merry Moments DSP. 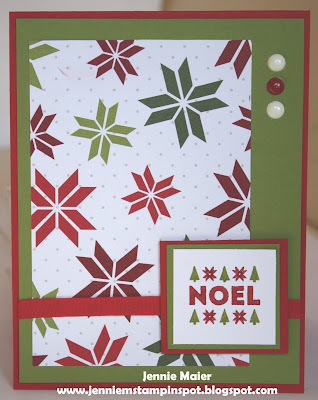 Three Months til Christmas Card! Today is three months from Christmas so I made another Christmas card! This one uses the Splitcoast Sketch#559 here. Lots of Joy is the stamp set with some Merry Moments DSP. 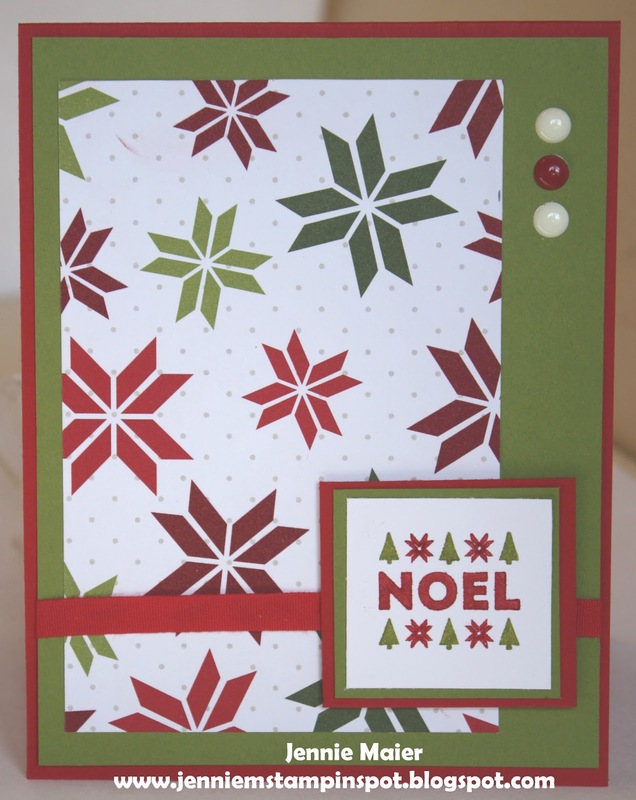 This card uses the Freshly Made Sketch#205 here. Holly Jolly Greetings and Your Presents are the stamp sets with some Merry Moments DSP. This card is for the Merry Monday#172 here. 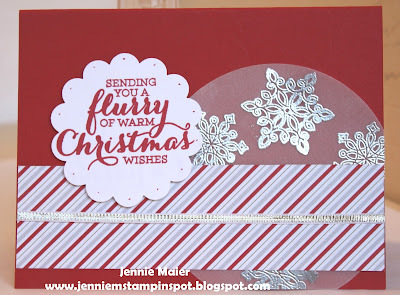 It's a challenge to make a Christmas card using water coloring. 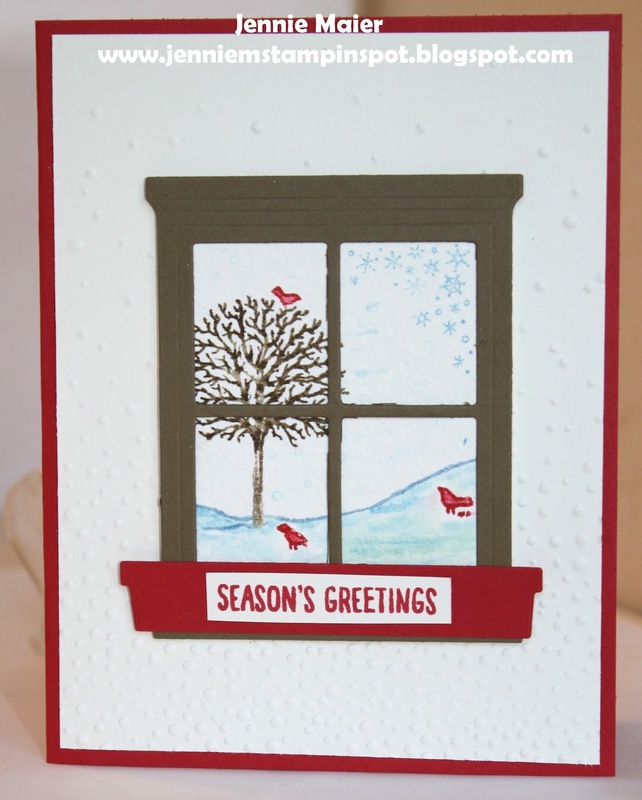 Happy Scenes is the stamp set with the coordinating Hearth & Home Framelits. I also ran the Very Vanilla background thru the Big Shot with the Softly Falling embossing folder. 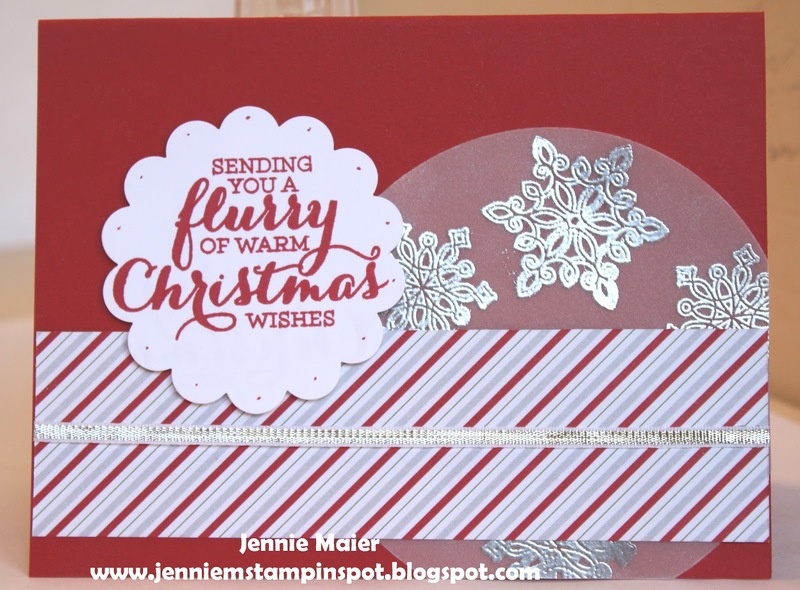 This Christmas card uses the Sweet Sunday Sketch Challenge#287 here. 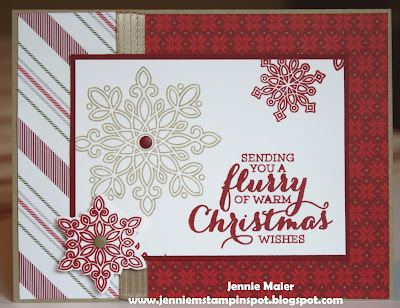 Flurry of Wishes is the stamp set with some Merry Moments DSP. This birthday card is for two challenges. First, I used the MojoMonday Sketch #416 here. And second, the TGIF Challenge#21 here. It's a theme challenge to make a Birthday card. 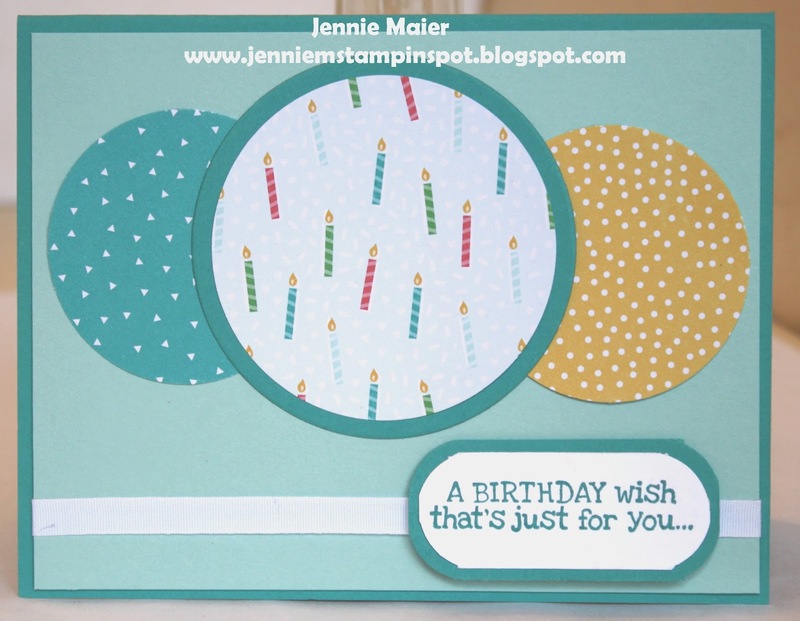 Remembering Your Birthday is the stamp set with some Cherry on Top DSP Stack. I needed a card for my husband for our 23rd Anniversary and I think this one fits the bill! It's been a great 25 years that we've been together! We are blessed with three amazing children, and a wonderful life and I'm so very thankful that I can share our life with an incredible man! I used the PPA#268 here. 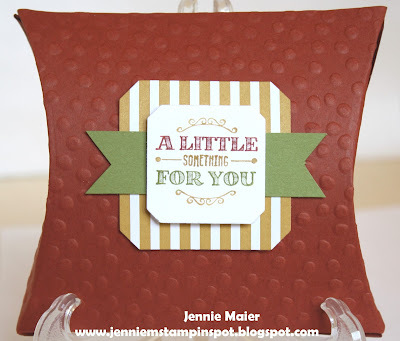 Friendly Wishes and Something to Say are the stamp sets with some Typeset Specialty DSP. 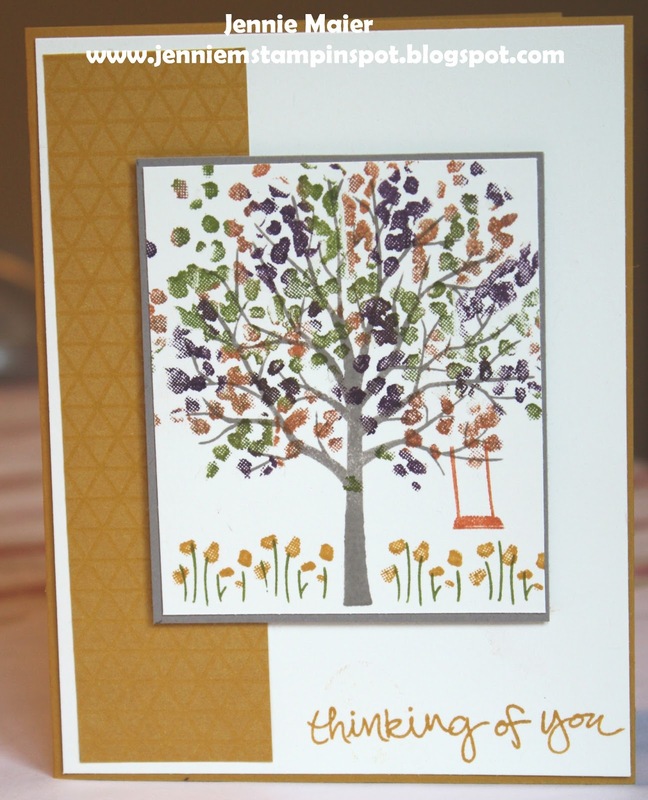 This card used the Freshly Made Sketch#204 here. 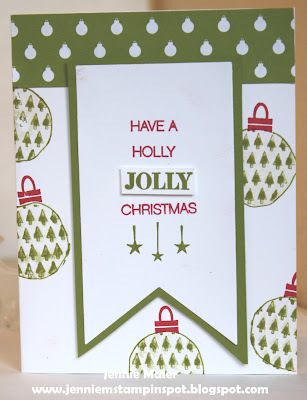 Holly Jolly Greetings is the stamp set and the coordinating Christmas Greetings Thinlits Dies. There's also some Merry Moments DSP. 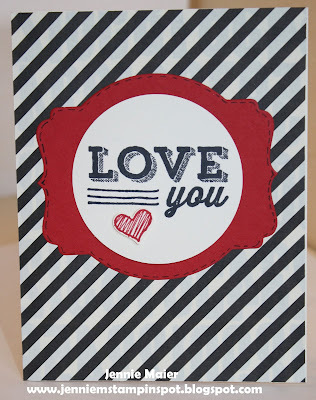 This card uses the MojoMonday Sketch#415 here. Lots of Joy is the stamp set with some Merry Moments DSP. This card came together quickly thanks to the TGIF Challenge#20 here. Happy Scenes is the stamp set with some Schoolhouse DSP and some Happy Haunting Designer Washi Tape. Here's a card for a sketch challenge and a color challenge. First, I used the Freshly Made Sketch#203 here. 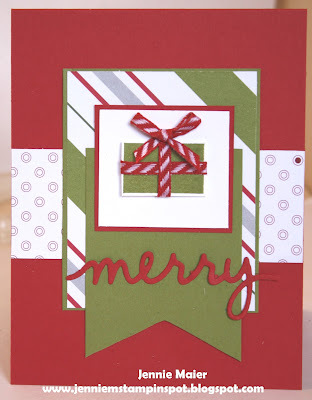 And second, the Create with Connie & Mary#372 here. It's a color challenge to use So Saffron, Delightful Dijon and Night of Navy. Six-Sided Sampler and Endless Thanks are the stamp sets with some '15-'17 In Color-Envelope Paper. 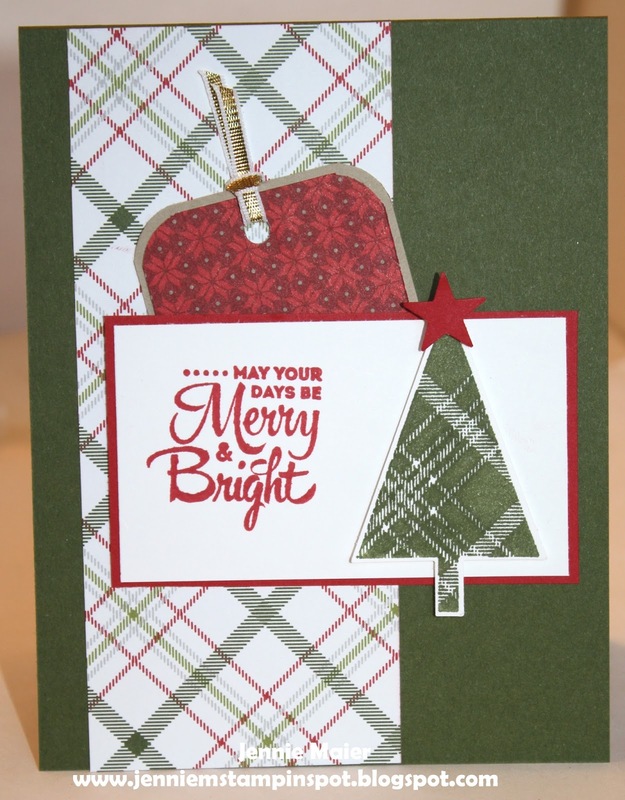 This Christmas card uses the Splitcoast Sketch Challenge#557 here. Flurry of Wishes and Holly Jolly Greetings are the stamp sets with the Christmas Greetings Thinlits Dies. 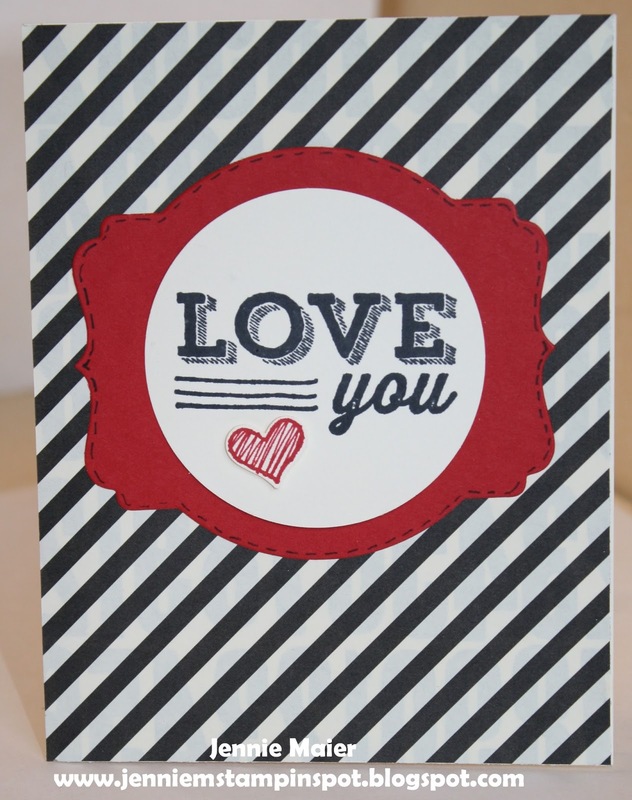 This card uses the MojoMonday Sketch#414 here. Your Presents is the stamp set with some Merry Moments DSP. 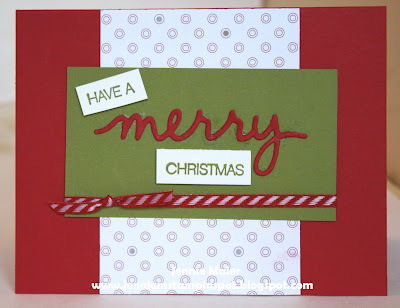 Also used the Christmas Greeting Thinlits Dies for the greeting. 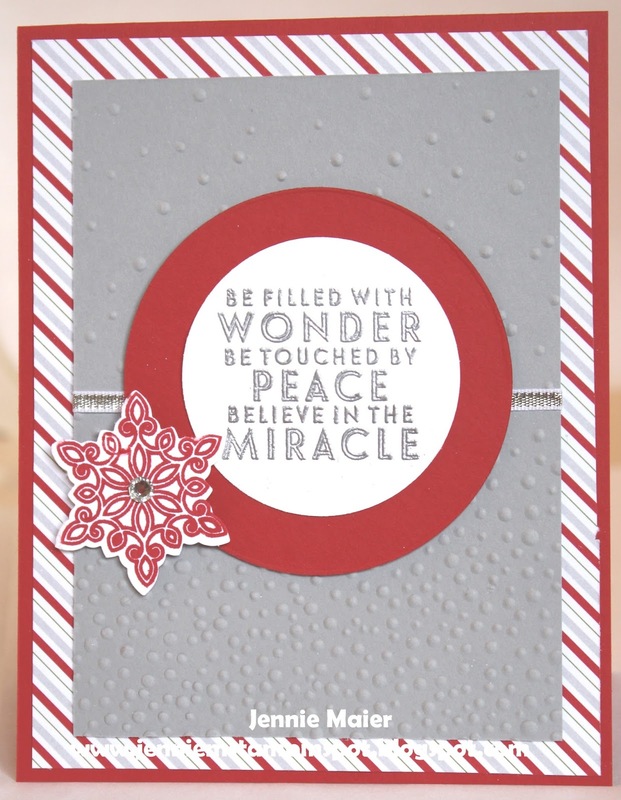 This Christmas card uses the FabFri72 here. Flurry of Wishes is the stamp set with some Merry Moments DSP. 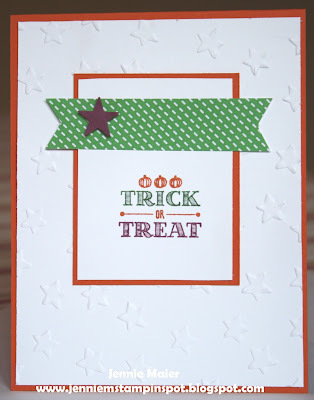 I also ran the Smoky Slate cardstock thru the Softly Falling Embossing Folder. Back to Holiday Catalog goodies! This is a must have for all your gift-giving needs! It's the stamp set, A Little Something, that coordinates with the Square Pillow Box Thinlits Dies. It even comes in a bundle so you can save. It's a very versatile stamp set! I was inspired by the PPA#266 here. It's a color challenge to use Delightful Dijion, Old Olive and Cajun Craze. And I used a bit of the 2015-2016 In Color Envelope Papers. This card uses two challenges. First, the Can You Case It#84 here is a sketch challenge. And second, the FabFriday#71 here is a color challenge. The colors to use are Blackberry Bliss, Old Olive, Delightful Dijion, Tangelo Twist and Tip Top Taupe. I actually missed to deadline for the challenge but that's okay! Sheltering Tree is the stamp set with some Color Me Irresistible Specialty DSP. 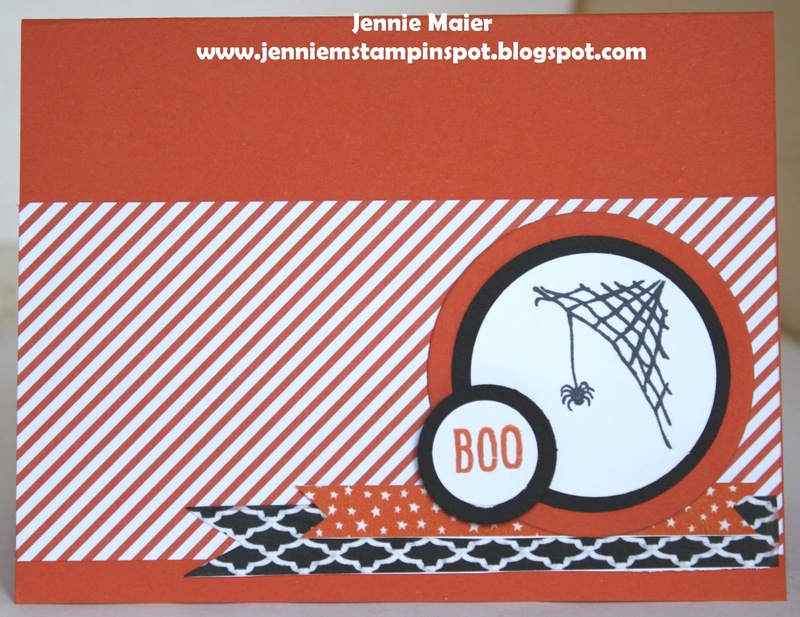 Halloween Card with Holiday Catalog Goodies! Here's another Halloween card using a stamp set from the Holiday Catalog. A Little Something is the stamp set. There's also a bit of Cherry on Top DSP Stack. And I used two challenges for this one. First, the Freshly Made Sketch#202 here. And the Splitcoast Color Challenge#546 here. The colors to use are Rich Razzleberry, Cucumber Crush and Tangelo Twist. Holiday Catalog up for Sale! The Holiday Catalog is up for sale! Here's a great set from the catalog that has a matching punch and you can bundle them and save! 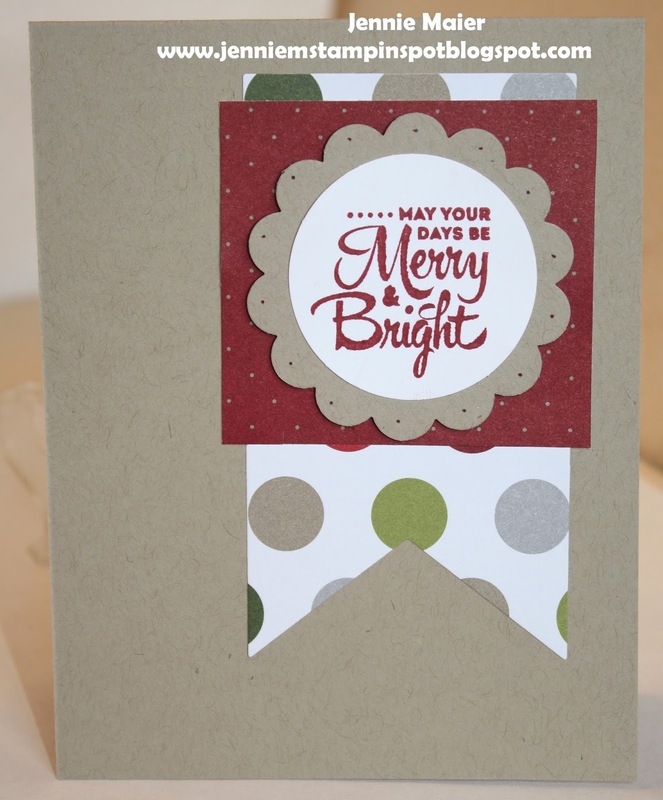 The stamp set is Flurry of Wishes with the Snow Flurry Punch. I used the Splitcoast Sketch#556 here. 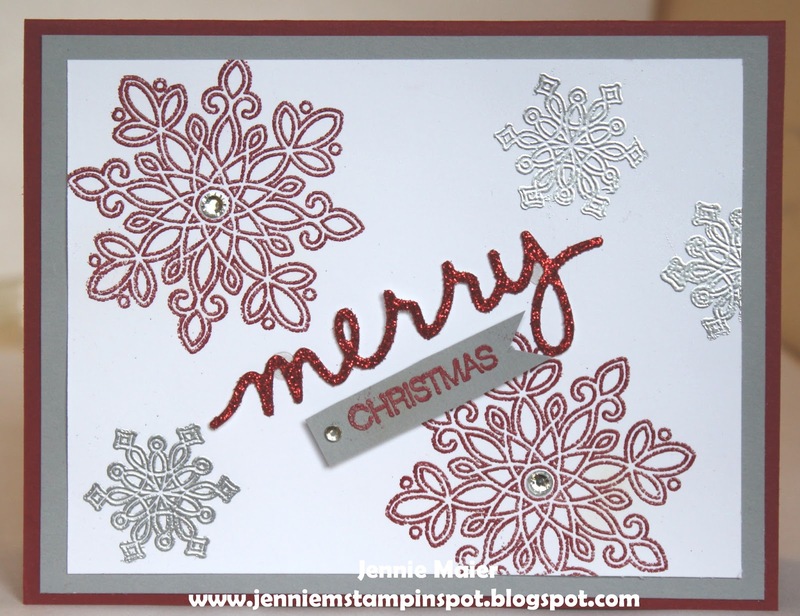 Also used some Merry Moments DSP.